Following a painful breakup, Sarah Smith (LILY RABE) embarks on a post-fire stream survey for the Forest Service in southern Oregon. A journey down a wild and scenic river leads her to a remote wilderness surrounded by scorched landscapes. Here she first senses being followed by a presence that will not reveal itself. Visitation from the “big man” (ISAAC C. SINGLETON JR.) continues, more overtly, at the remote cabin to which Sarah repairs to write up her fieldwork. 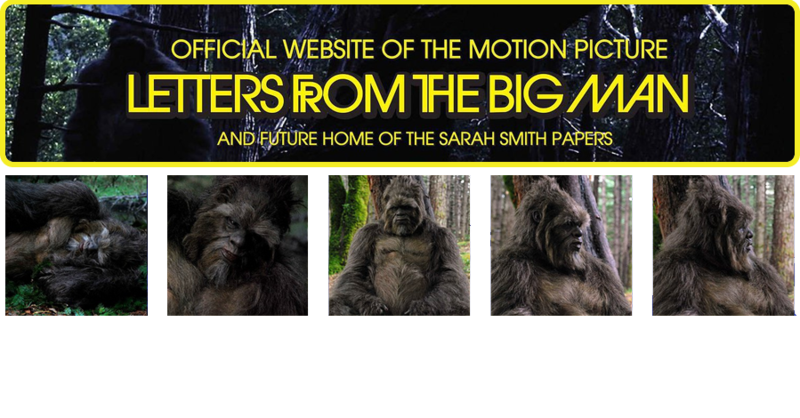 A budding romance with a wilderness advocate (JASON BUTLER HARNER) she met on her trip leads to surprising revelations about the government and sasquatch, and conflicting agendas, that force Sarah to take bold steps to protect the privacy of her big friend, as well as her own. Click the following link to buy Letters from the Big Man. I really appreciated this film. Chi miigwech, aho:). Ive rented this on amazon 3 times now. Im excited its on Dvd! This film is one of the best films ever made on BF in my opinion and the location is amazing. When I start recording I have an entire diverse vibe regarding the matter of music - so not to sound monotonous in light of the fact that that can happen. With gomovies website coming forward with free movies downloads, the trend of downloading and watching movies at homes is becoming popular among the younger generation. It's a Very informative article , all the information are given very clearly..visit here now for watching movies. They don't make money straight from you as a user, but they place ads from shady ads networks who allow any kind of ads. Its an incredible joy perusing your post.Its brimming with data I am searching https://movgotv.com/ for and I want to post a remark that "The substance of your post is marvelous" Great work. In addition,watch series free copyright owners could file lawsuits against you on the offense of copyright infringement. You would definitely not like the idea to get caught amid such hassles, would you?